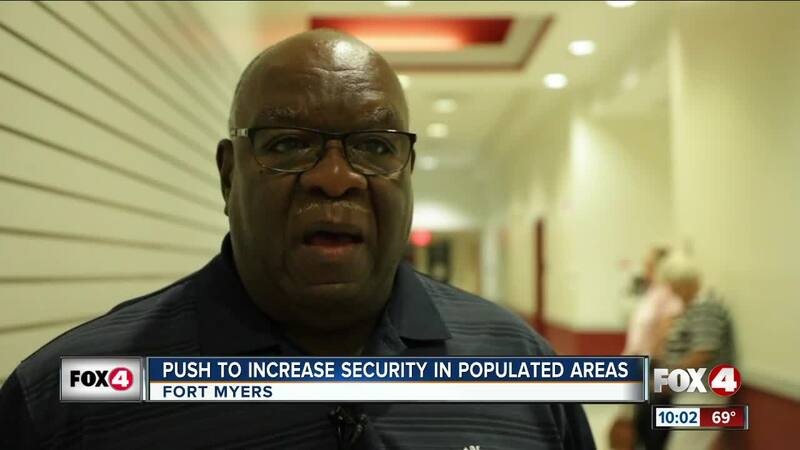 Fort Myers City Councilman Johnny Streets wants to push for more security to try and prevent mass shootings. FORT MYERS, Fla. — It’s been a little over a month since the new year began, but so far there have been three mass shootings in Florida in 2019, according to the Gun Violence Archive . In 2018, there were 30 mass shootings in Florida. Fort Myers City Councilman Johnny Streets wants to prevent that from happening in his community. He wants to increase security at places with a large amount of people, like apartment complexes or malls. “I would like to be proactive in asking those companies to provide armed security from a company or something. You gotta have something, we can’t do it all,” Streets said. Streets says any form of protection could make a huge difference. “Just knowing there’s an armed person, a licensed person on the premises might be a deterrent,” Streets said. However, security expert and president of Global Investigative Group Walter Zalisko, says otherwise. “You don’t want them there just to be a presence to deter something. That’s just one of their functions. In the event that something happens, you want them to be able to respond to an emergency quickly, and take appropriate action,” Zalisko said. He believes strong security means cross-training the guards to know how to react in a variety of situations. “Good security companies cross train their guards in crowd control, how to diffuse the situations, and so forth. They should be well trained if they’re going to be in situations where they’re going to have to interact with people,” Zalisko said. Zalisko recommends both police officers and security guards to be present at venues, but having only security officers might be the cheaper option. A police officer can range from $40-$65/hour or more depending on the municipality, whereas a security guard can range from $15-$23/hour. Streets wants to hear more from businesses and the community before moving forward. “We need public input also. We know everybody can’t afford it, but we need to at least be talking about it,” Streets said.